Not a solid, yet not a liquid; glass is somewhere in between. These decorative varieties accentuate the aesthetic qualities of the material, calling attention to its almost supernatural, amorphous condition—a state somewhere between two states of matter. 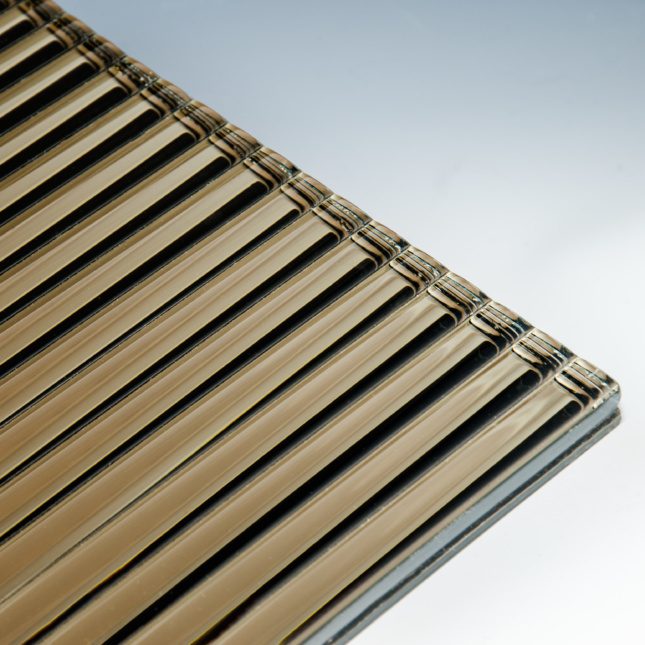 Convex grooves line this kiln-formed glass that is shaped like flowing water. It is available in a maximum panel size of six-by-ten feet and in six profile depths. 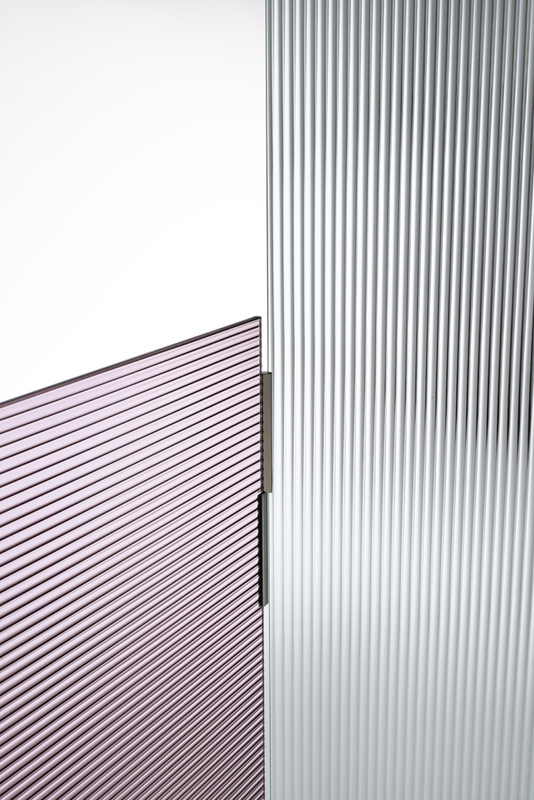 The French fraternal design duo Ronan & Erwan Bouroullec conjured a colorful crystalline modular screen with layered hinged panels. The folds of transparent glass feature horizontal and vertical veins that light filters through in a wonderfully lucid way. 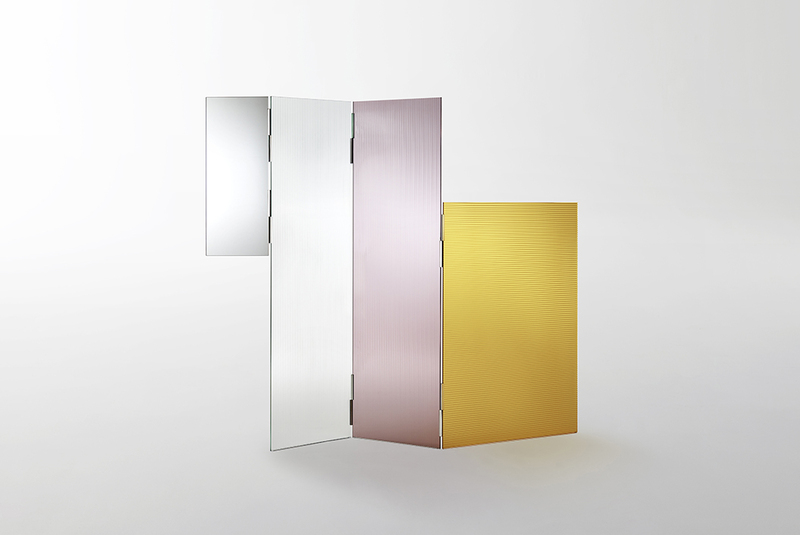 The individual panels vary in size, allowing for compositions that divide but don’t separate. 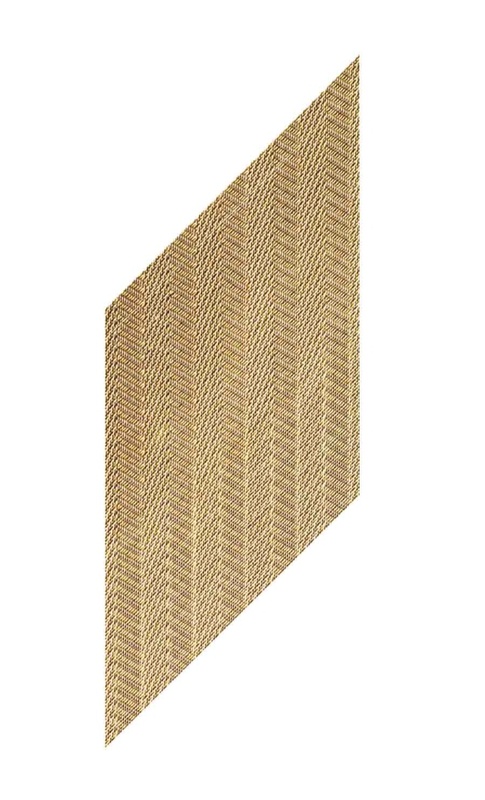 Woven metallic threads form a reflective herringbone wall cladding in this new product from Carvart. The effect is created by laminating metal mesh between a mirror and a panel of glass. 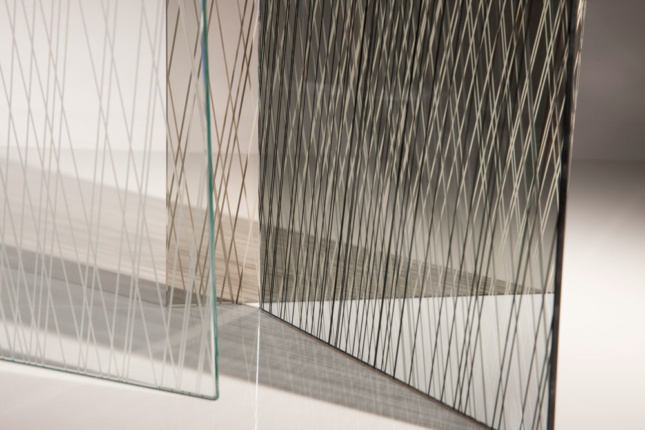 This mesh can be used for both exterior and interior applications, as well as for acoustic performance. 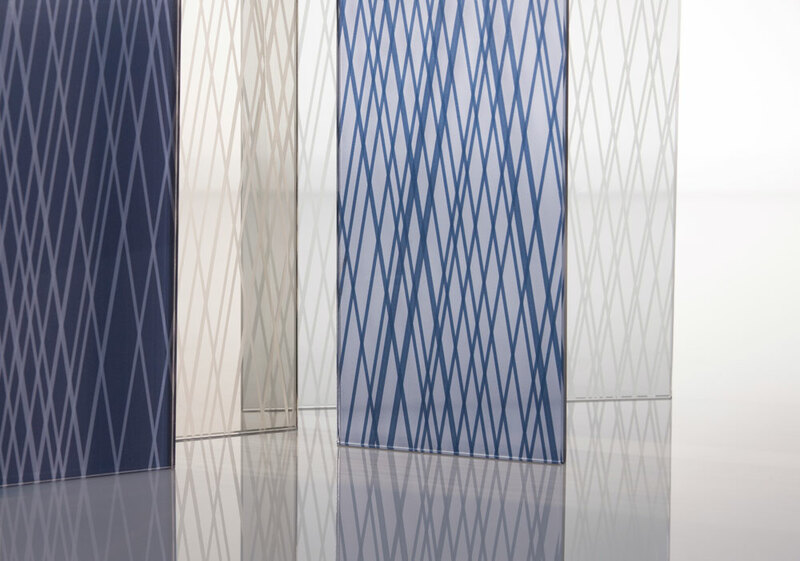 Exploring linework and other 2-D geometries, Gensler collaborated with Skyline to develop a collection of five glass patterns. Linework is available in four thicknesses, can be sized up to 72 inches by 144 inches, and is suitable for interiors and exteriors.